Like “Arduino”, you can make your own WiCard on a breadboard. 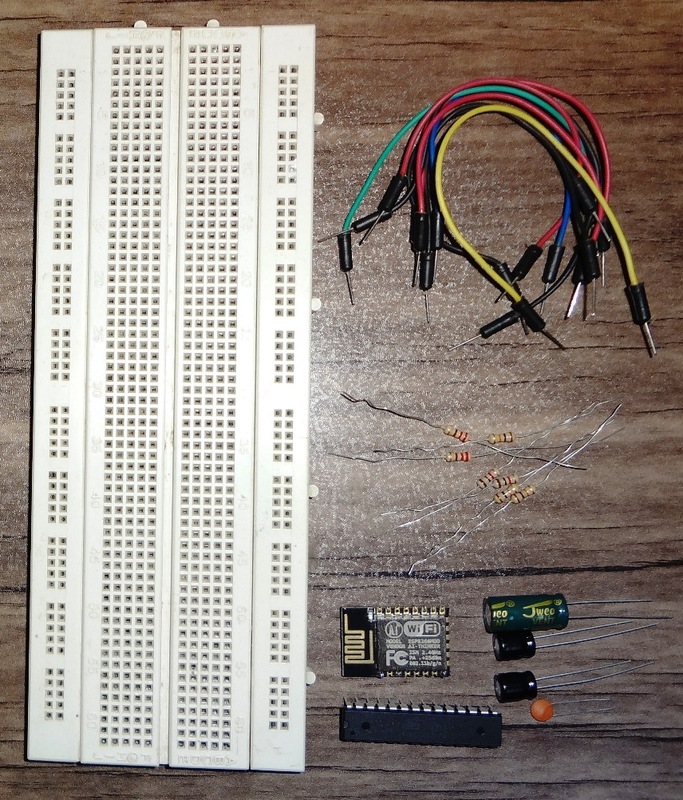 If you want to make WiCard on a breadboard before making the PCB, all you need is some resistors and capacitors, a breadboard, wires, an ATMega8a (DIP), an ESP8266 module (with a 32 Megabit flash memory). So the fuse byte in AVR parallel programming, set the “Fuse High Byte” to 0x78, the “Fuse Low Byte” to 0xA4, and the “Lock Bits Byte” to 0xFC. The fuse byte in AVR SPI programming, set the “Fuse High Byte” to 0xD8, the “Fuse Low Byte” to 0xA4, and the “Lock Bits Byte” to 0xFC. ESP8266EX_0x000000: Must be copy at address 0x0 in the 32Mbit flash memory. This file includes some initial system settings. ESP8266EX_0x001000: Must be copy at address 0x1000 in the 32Mbit flash memory. This file includes the firmware program data. 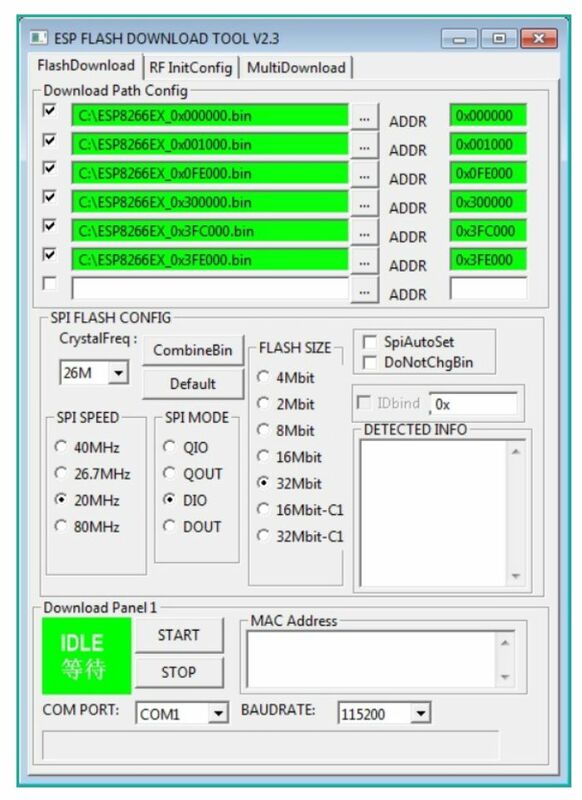 ESP8266EX_0x0FE000: Must be copy at address 0xfe000 in the 32Mbit flash memory. This is a 4KB blank file for the system settings. ESP8266EX_0x300000: should be copy at address 0x300000 in the 32Mbit flash memory. This file includes internal webpage data. ESP8266EX_0x3FC000: should be copy at address 0x3fc000 in the 32Mbit flash memory. This file includes some initial wireless/WiFi settings. Finally assemble the module after programming the firmware on ATMaga8A and ESP module (I’m using an ESP12 module which I have replaced its flash with a W25Q32). Also you can use GPIO 12 (MTDI) of your ESP8266 module (if it’s available) as “NET Status LED”. 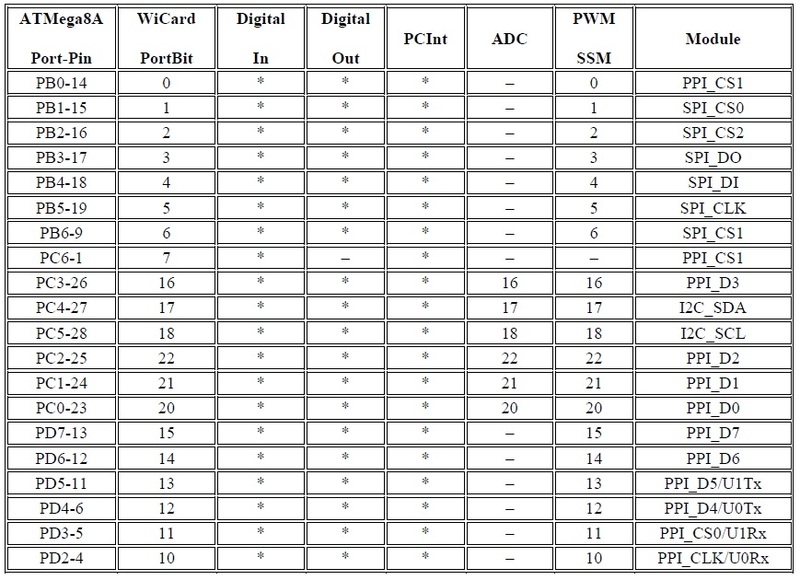 Besides that, you can use GPIO 14 (MTMS) as “Program Status LED” and GPIO 15 (MTCK) as “Error LED”. To finding out another stuff about WiCard WiFi Module, please refer to our home page and blog. Hi, Neat post. There is an issue with your website in web explorer, would test this. IE still is the market chief and a huge element of folks will pass over your great writing due to this problem. I’ve been surfing online more than 3 hours today, but I never discovered any attention-grabbing article like yours. It’s pretty worth enough for me. In my view, if all web owners and bloggers made good content material as you did, the internet can be much more useful than ever before.